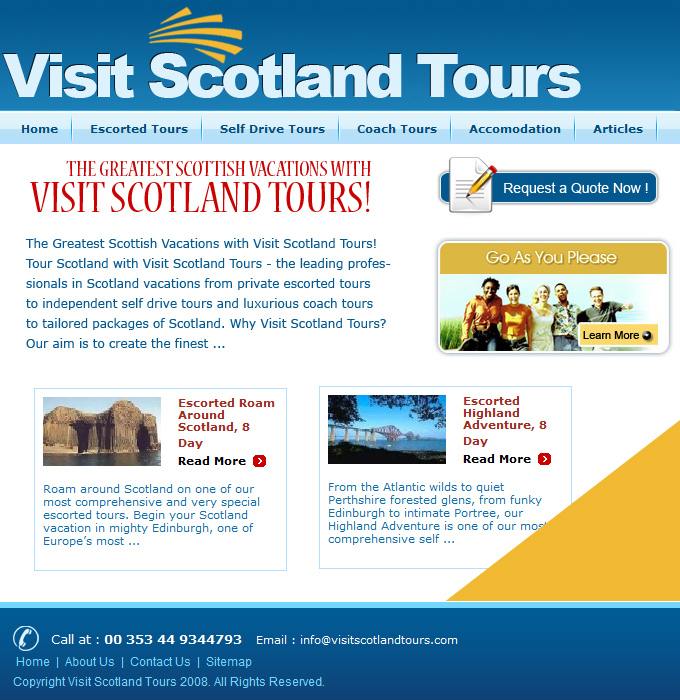 Visit Scotland Tours is a company built on traditions of integrity and innovation. We create enriching travel experiences that constantly exceed customer expectations. Every Visit Scotland Tours vacation is conducted with pride and enthusiasm. Your Personal Tour Operator will deal meticulously with every facet of your unique itinerary. In addition, you will have the delightful benefit of being with an experienced guide who is fully knowledgeable about the culture and history of Scotland.